I'm convinced: Sonic Generations is an elaborate trap! 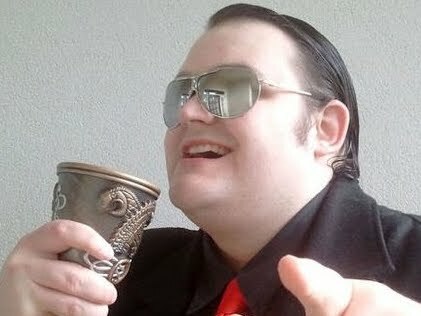 If you ever want to find me at a trade show, your best bet to set up camp near the SEGA booth, as there's always a good chance I'll be swinging by. Like clockwork, my presence was felt at PAX this year, where I got further hands-on time with some of the company's promising offerings. Sonic Generations was my first port of call, and after playing both acts of City Escape, I am utterly convinced that the game is some sort of cruel trick. If the game is actually this consistently good when it releases, I fear it'll come attached to an extravagant Saw-style trap! 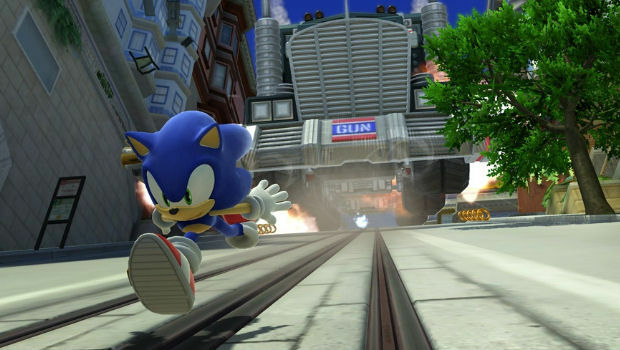 As expected, I really dug the 2D "Classic" take on Sonic Adventure 2's beloved City Escape stage. It played significantly faster than the Green Hill Zone stage that SEGA released a few weeks ago, but it didn't suffer anything due to the fact. It was swift, but there was still plenty of solid platforming. With a variety of jumping sequences and well-placed enemies, there's a fine balance between speed and challenge, so you're not just "Pushing right to win." 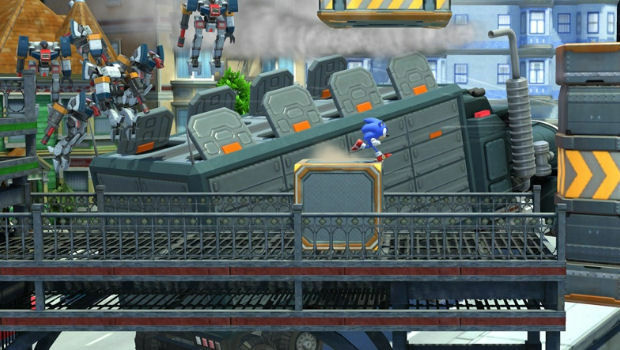 The GUN Truck that chases Sonic through the level is used particularly well in the Classic stage, as it weaves in and out of the stage, smashing through platforms and deforming the scenery. Depending on how quick you are, the truck can alter the way you progress through the stage. Like his modern counterpart, Classic Sonic gets a skateboard for one portion of the level, and I did notice an unfortunate issue -- he can't seem to change direction when he's on the thing. Somehow I ended up going backwards and wasn't able to shunt Sonic in the right direction until he bounced off a spring. It's a minor issue, but hopefully one they'll fix. As for the Modern level? I ... liked it. Fenrir take my wretched soul, but I actually enjoyed the bloody thing. Sonic felt controllable in the 3D environment, didn't take any cheap pitfalls deaths, had a homing attack that actually worked, and even the occassional shift to 2D perspective was enjoyable, with the physics feeling far more solid and nowhere near as "floaty" as Sonic Unleashed or Sonic Colors. Like the Classic stage, there was a savvy mixture of speed and solid platforming. 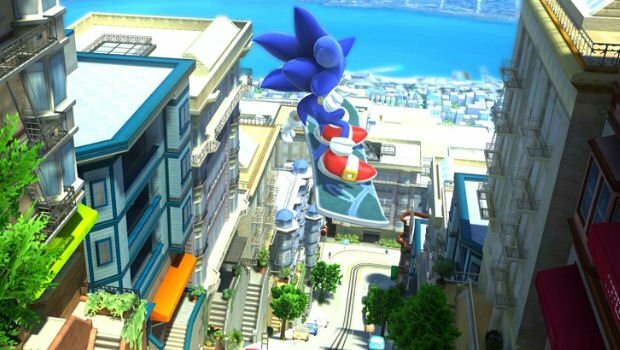 It was also full of truly impressive visual moments, with Sonic jumping from high ramps and getting a huge view of the titular city, or boosting down a ramp while the GUN Truck speeds behind and attacks with a variety of mechanical weapons. Oh. and I got an S-Rank on both stages ... not showing off! I absolutely refuse to be excited for the game until I played the whole thing, but I can say that I've played four stages to date, and I've been confidently happy with three of them (I'll need to play the Modern Green Hill Zone again to properly gauge it). The City Escape levels are plenty of fun, look gorgeous, and have been tightly designed. With everything else looking promising, this could be a good one, but I'm not willing to discount the fact that this is a big prank yet. The game is out November 1, so I guess we'll see what the final verdict is in the near future. I'm keeping my fingers crossed because if there's one thing that's absolutely certain, it's this -- I want to love it.